Fuji Labs Sonique Eco-Line SQ306 Premium Beryllium In-Ear Headph [AUFJ-SQWBS306WH-E] - $29.99 : Dealpops.com, Good deals are keep popping up! Within the beautifully designed SoniqueTM 306 earphones you will find space-age innovations that forever change your perception of how your music really SHOULD sound like! A quality driver is the source for a quality sound. This is precisely why Sonique earphones have sound drivers coated with the highest grade of Beryllium alloy allowed for the earphones to produce clear, high-fidelity sound throughout the audio spectrum. Through extensive research, our designers and sound engineers developed an innovative method to use Beryllium to boost response across the entire range between 20Hz to 20 kHz, including sounds above 16 kHz where most earphones are often found lacking. Our Beryllium enhanced earphones are not only super-comfortable, but also, they fit tightly enough to effectively block outside noise. 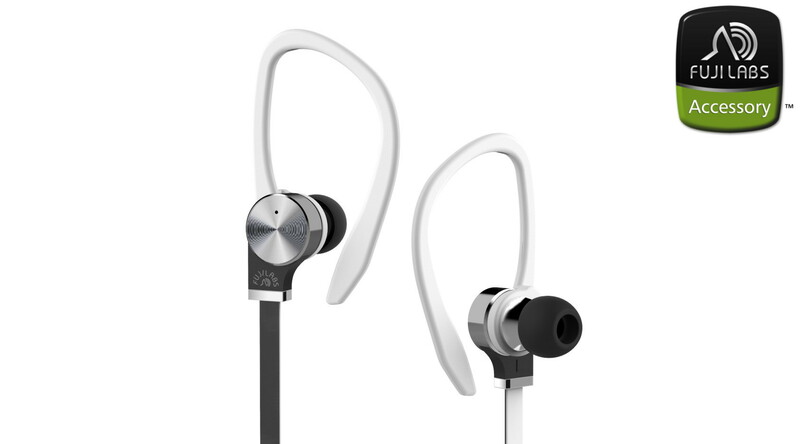 Sonique earphones ultimately provide an amazing experience of dynamic sound immersion.